‘Portland – where young people go to retire!’ This quote has been doing the rounds on the old viral trail ever since the ‘marmite’ (love it or hate it) TV show, Portlandia, coined it. Discuss a Portland itinerary with anyone from this Pacific Northwest city and the response will be something along the lines of beer, bikes, noms, and nature. 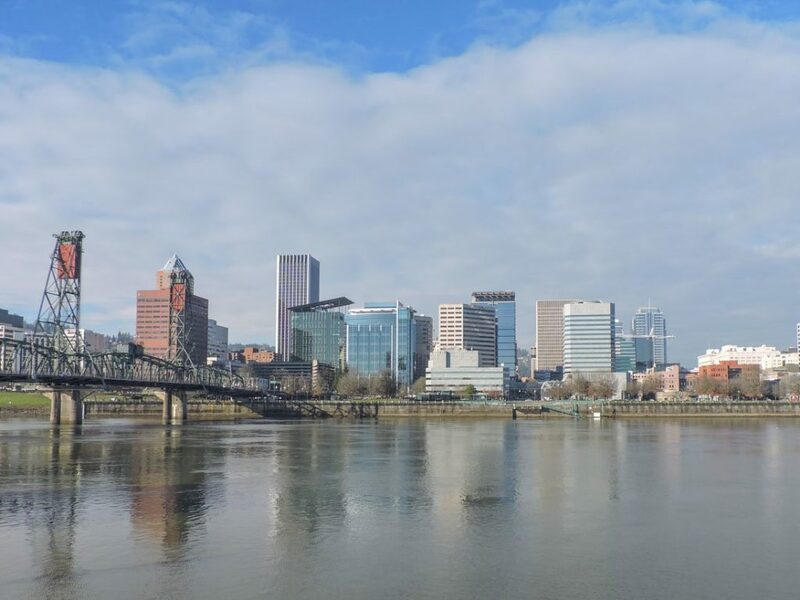 By the end of this article, I hope that you’ll agree that Portland certainly is a very liveable and loveable city in Oregon, USA. 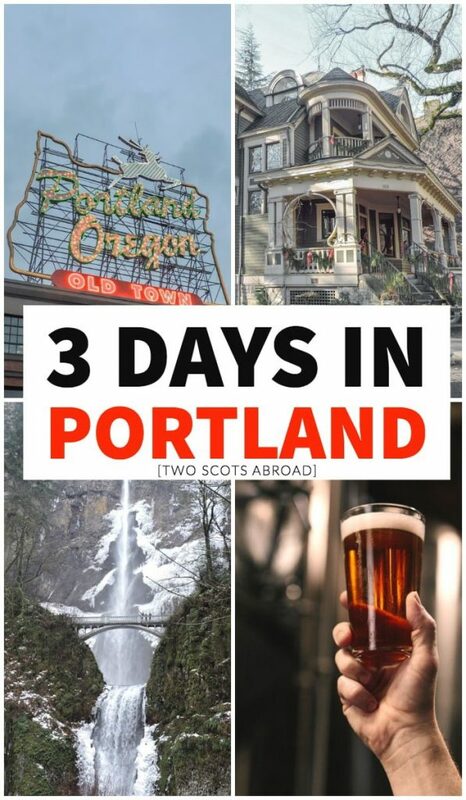 Here’s our (Gemma and Craig) guide on what to do in 3 days in Portland (also known as the city of roses and PDX). When you first arrive you definitely want to check out the Portland points of interest in the centre of the city and the waterfront. Take in the unusual looking buildings, the cherry blossoms at Waterfront Park (Spring, approx March/April), how many bridges can count over the Willamette (rhymes with ‘dammit’)? There are 12 in total. Pioneer Courthouse Square is home to the weekly farmers’ market (Mondays in Summer) and holiday-tree lighting party if you are visiting Portland for the Christmas holidays. If you are keen on art, or if it is raining (it does that come Autumn/Fall, a lot), you might want to swing by Portland Art Museum (1219 SW Park Ave) or the Oregon Historical Society (1200 S.W. Park Ave) to see local and historical artefacts. 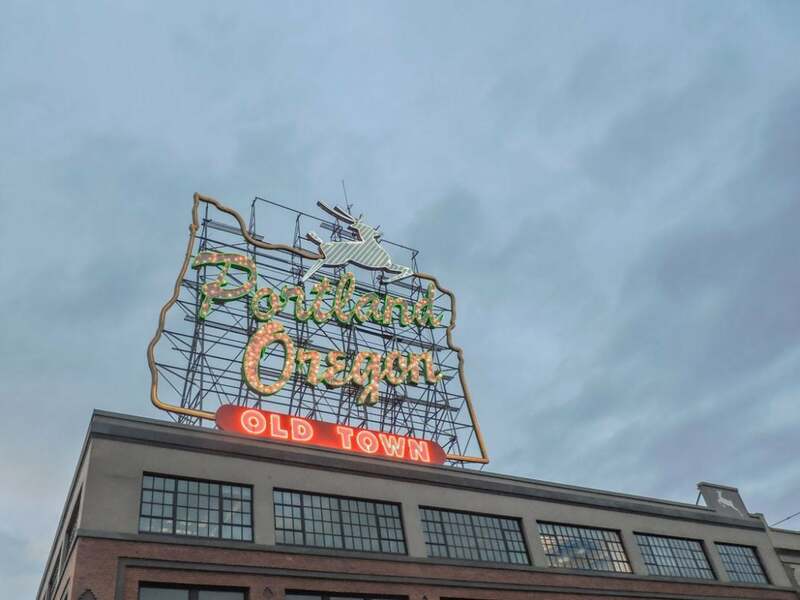 You will also find the very instagrammable 65 foot Portland sign ‘the Schnitz’ in Downtown Portland, outside of Arlene Schnitzer Concert Hall. 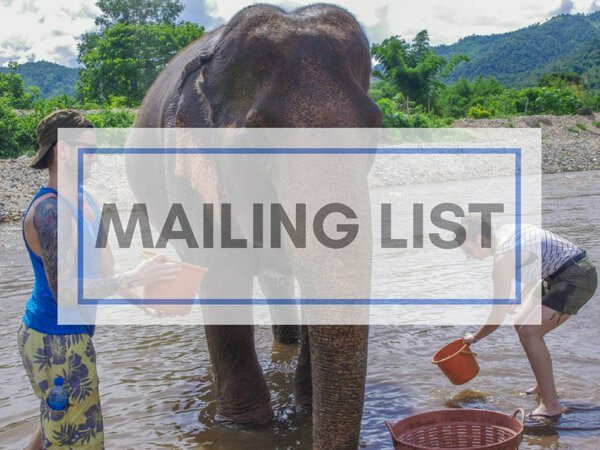 Looking for a tour with a local? 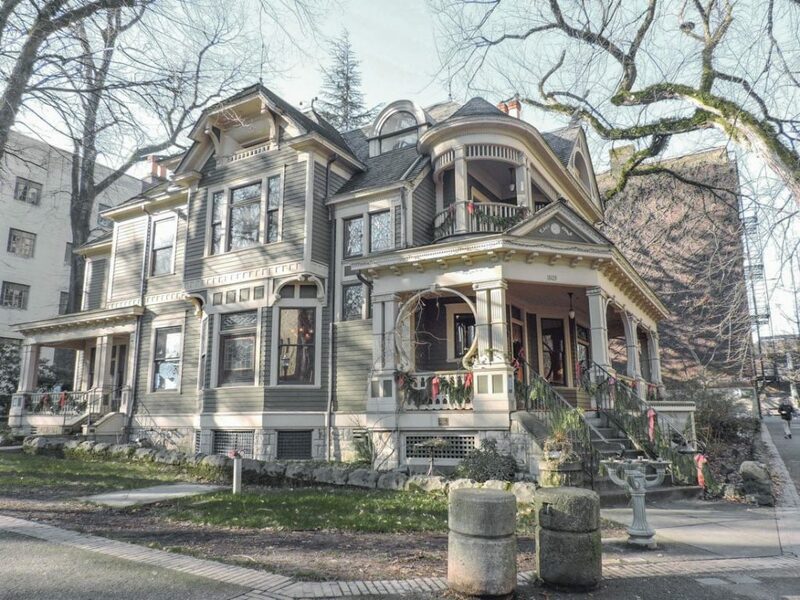 Check out this 2-hour walking tour of Downtown Portland. Look out for the Benson Bubblers water fountains. Not to be confused with old-school candelabras, there are 52 bronze fountains dotted around the city named after the businessman Simon Benson who donated money to the project. I was using my Travel Portland tote bag on an island in Nicaragua (Ometepe) and a rad (or radge as we would say in Scotland) looking guy was like ‘hey, are you from Portland?’ as he sipped a drink on the wall of a restaurant. 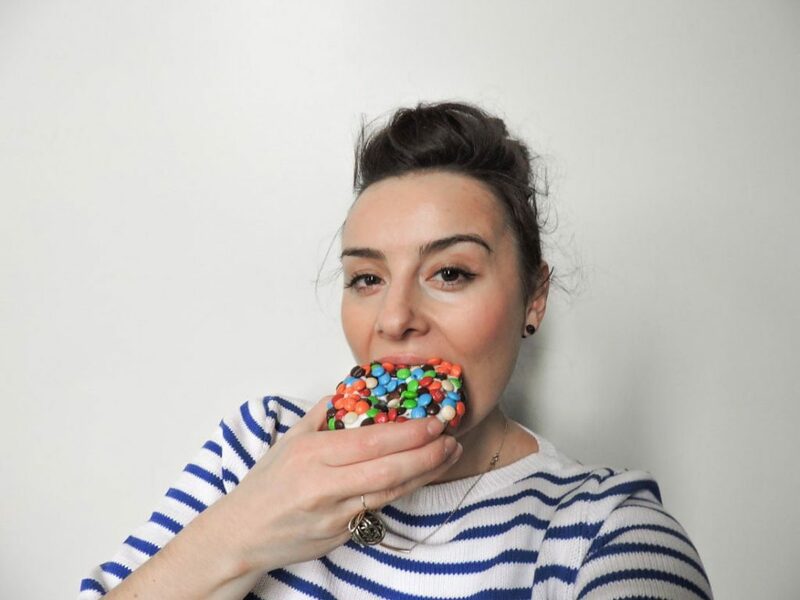 We started chatting and it turns out that this rad was actually the owner of Voodoo Doughnut. Mind is blown. An island in Nicaragua. What are the odds I’d be using the tote bag and he would notice? Anyway, we took a celebratory photo of me holding my phone displaying a picture of me eating a Voodoo doughnut in Portland. I love travelling. 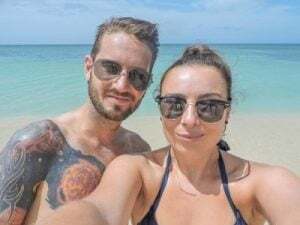 Any strange travel stories to share? Tell me in the comments below. Can’t agree on what to eat for lunch? That really is not an issue in Portland because this city is home to food carts. Alder Street Food Cart Pod (S.W. 10th Ave. & Alder St) is the biggest selection of food carts in downtown Portland and offers Thai, Indian, Mexican, yup pretty much every food genre is covered. This works a treat for us because we are not food compatible. 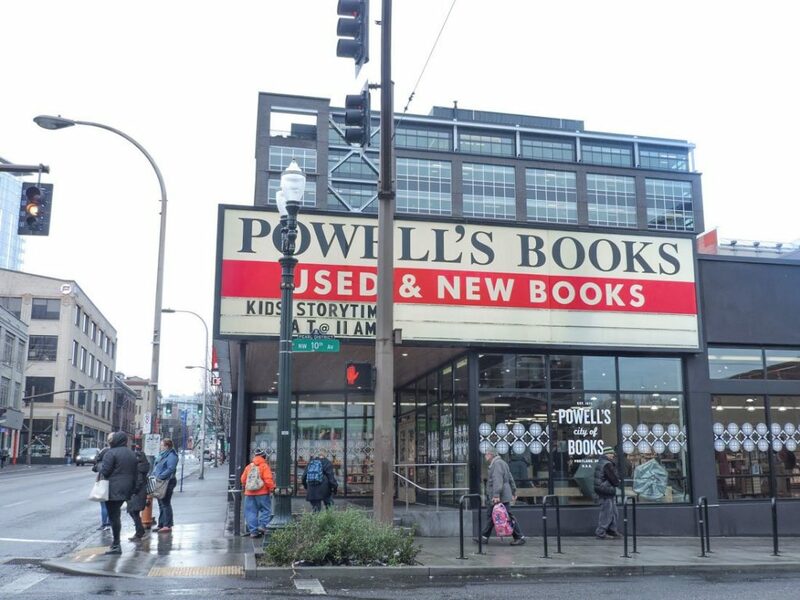 Head to ‘City of Book’s aka Powell’s Bookstore (there are five stores in Portland, 1005 W Burnside S is the flagship store ) to see the world’s largest independent bookstore to kick off the feel of Portland. Powell’s Bookstores boats of over 500 author events per year. Small businesses and free-from chain store status is definitely the vibe of this city. If you visit during the weekend, be sure to check out the Portland Saturday Market to pick up food, crafts, art and jewellery (Saturday/Sunday, March- Christmas Eve). Visting midweek? You don’t have to miss out, browse and purchase local Oregan gear at Made Here PDX (40 NW 10th Ave). Next, for an afternoon pick me up, pop into Stumptown Coffee Roasters for a brew – they’ve been taking coffee very seriously from source to sip since the lates 90s. This fair trade coffee shop (five stores across the city) offers a variety of coffees, hot or cold and also teas. If it is a dry day, take out and drink while people watching and totem pole exploring at Jamieson Square. See what the Elizabeth Leach Gallery (Tuesday – Saturday/417 NW 9th Ave) and the photography gallery Blue Sky (Tuesday – Sunday122 NW 8th Ave) are exhibiting. Catch a show at the Portland Center Stage at The Armory which is known as the “crown jewel” of the Brewery Blocks redevelopment. Alternatively, if you are here for the hard brew, book into the Pearl District Brewery tour. This 3-hour guided tour cover three breweries, Deschutes, Pints Brewing, and Rogue Ales. Brew-tasters received a sampling journal, a Pilsner glass, and a pretzel necklace to snack on! Soak up the booze at the Mexican restaurant, Santeria (703 SW Ankeny St), if you need to use the bathroom don’t mind the female strippers and look out for the ‘worst toilet in Scotland’ graffiti which is a quote from the Scottish film, Trainspotting (it wasn’t us, honest). Grab a nightcap next door at Bailey’s Taproom (SW Broadway), try the flight if you can’t decide (thanks for the tip, Nate the Brewmaster who we met in Peru). End the night at 70 NW Couch (cooch not couch) – the famous Portland, Oregon sign. It’s worthy of a Boomerang or video at least. Like the city itself, the sign has gone through many changes at the hands of whoever owned the building. Initially, it advertised White Satin Sugar, then White Stag Sportswear. Most recently The City of Portland took over the rights. The sign you see today will be the final version as, like many of Portland’s old houses, it is protected. This pleases Portlanders as the red nose, which is put on the stag at Christmas, is a bit of an institution in itself! Definitely make a visit to the sign one of the things to do in Portland at night. Have your wits about you here in the dark, people are friendly but it is a city. We stayed at The Society Hotel, a really cool new boutique hotel which has kept its roots. It’s basically a modern looking time capsule! Check out our review here. There are two options for this morning depending on your city travel style. Option one, do as Portlanders and bike! Join a bike tour around the city to stretch the legs and to explore what is on the other side of those bridges (we did this with Cycle Portland Bike Tours in January and it was very pleasant weather wise)! Biking is big and it’s not just one of the many hipster things to do in Portland! There are cycle paths, bike traffic lights, and left-hand turns (although some are blighted by the tram tracks – don’t get stuck in them)! 7.2% of people commute by bike in Portland. To put this in perspective, the national average is a mere 0.5%. Cyclists have the same rights as cars when it comes to lanes. Although the passion for the pedal is respected by most, Portlanders still like to show that they are vulnerable by staging a naked cycle protest once a year! Being naked in public is actually lawful, it falls under artistic license – keeping Portland weird. Option two, make your way to Washington Park to discover over 650 rose varieties in 4.5 acres (1.8 hectares) of parkland at the Rose International Test Garden. This feels like Alice in Wonderland territory. If you only had 2 days in Portland I would suggest doing a tour a day one (I like to get my bearings through tours) as this will most likely cover downtown and the riverfront then visit Washington Park in the morning of the second day and Nob Hill in the afternoon/evening. If you are a foodie you’ll want to taste what the city has to offer with a bit of background from a knowledgeable guide. This 2-hour street food walking tour tantalises the tastebuds while feeding the brain too. There are approximately 848 food units in Portland, learn what the fuss is all about. Alternatively, head to the city’s first food market, Pine Street Market (126 SW 2nd Ave) which is located in the cool historic Carriage and Baggage Building (every day). 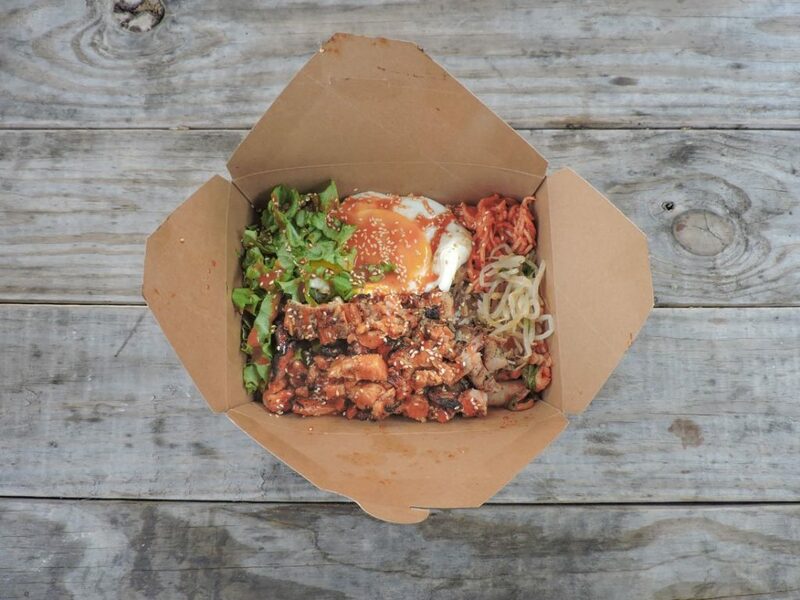 If you like Korean food, check out Kim Jong Smokehouse, we tried one of the chef collective’s food from at the Kim Jong Grillin’ food truck. Tasty and photogenic. Another option is to make your way to the Nob Hill neighbourhood. Nob Hill is the area Northwest of the Portland and is affectionately known as ‘The Alphabet District’ because of its naming of the streets in alphabetical order. This is the more affluent neighbourhood in the city and you can expect upmarket shopping and eateries. There are cultural activities too though, for example, Pittock Mansion, an impressive 100-year old family home which is situated 1,000 feet above the city. Yes, that means spectacular views of the Portland and Mount Hood. Forest Park can be found in the Nob Hill area too. There are 70 miles of trails which are enjoyed by visitors and locals alike. An easy access point can be found adjacent to Macleay Park (Lower Macleay Trail). Starting to feel like Portland has gone all normal on you at Nob Hill? Think again with Freakybuttrue (spell it out) Peculiarium, museum/gallery/interactive weird sh*t with ice cream as the cherry on top. After dinner at one of the many Nob Hill restaurants (American, Italian, Steakhouses, Spanish, Korean) it is time to ‘brew ‘n’ view’ at one of Nob Hill’s cinemas (Cinema 21 – look out for film festivals and sing-alongs or McMenamins Mission Theater – showing throwbacks like Clueless and The Craft, dining options available), which serve local craft beers. Don’t go wild tonight because tomorrow you are day tripping but I do have to add, Nob Hill has karaoke rooms at Voicebox Karaoke Lounge. Many of the cool places in Portland can be found at the upper-market Nob Hill area. One of the things to do near Portland (Oregan) is visit Multnomah Falls (45 min drive) which is Oregan’s tallest waterfall. Visiting the fall isn’t just a Summer activity, we went in January when there was a bit of frost and it was just lovely, making it one of the best day trips from Portland. On a clear day, you can see Mount Hood in the background during the journey. The hike can be as easy or intermediate as you like. We saw families there so a safe bet for things to do in Portland with kids. 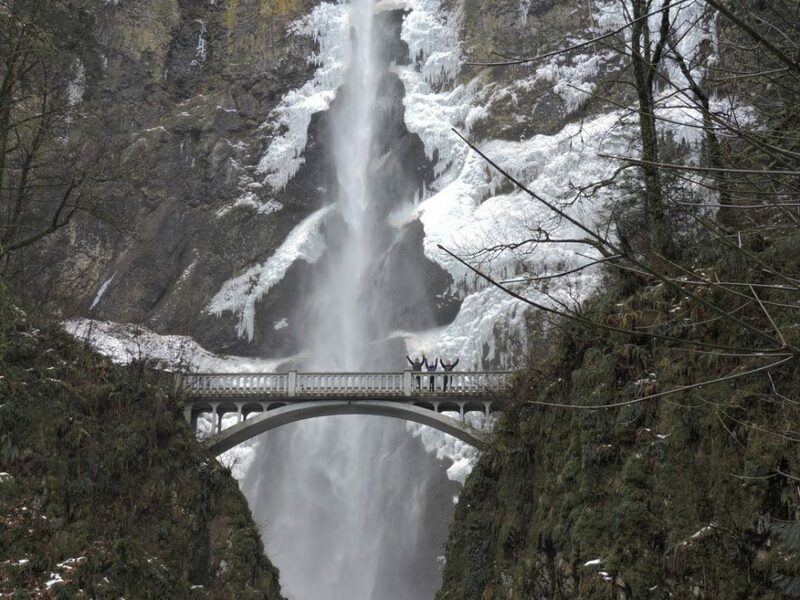 If you don’t have a car you can join this 3.5 hour guided tour which picks you up from your hotel and takes you not only to Multnomah Falls but also Latourell Falls and Horse Tail Falls as part of its Columbia River Highway tour. If you like wine and want to make a day of it, this 8-hour day trip from Portland offers the above plus lunch in Hood River with wine sampling options. Nate very neatly organised Portland’s transport system into four T’s – trail, tram, trolley, and train! Like Seattle and Vancouver, TriMet tickets are valid for 90 minutes which means you can commute between two, three modes of transport. Uniquely, Portland has an ariel tram! It was purpose built for students to get between campuses but tourists can also try it out for $4.90 USD. Yes, it rains in Portland hence the lushness of its surroundings. Portlanders are cool with it, they’ve even named it the cute ‘Portland mist’. However, Portland doesn’t even make it into American’s top 10 rainiest cities for rainfall so don’t fret! If you don’t like rain then the best times to visit are summer, July, August and often September. May and June are drier than April and March. Mid October sees the rain appear again. There are heaps of things to in Portland when it rains. There are a variety of museums to suit every interest from Portland’s Shanghai Tunnels to the Art Museum. Portland has lots of brewery tours where companies take you on a sampling trip by foot, bike, or bus. Obviously, there are lots of shopping opportunities in Portland when ducking from the mist, the city has mainstream big named shops, small businesses, Portland’s Saturday market and the institution itself, Powell’s Book Shop. North America really knows how to make Christmas sparkle and one of the benefits of visiting Portland, Oregan in December is that the weather is not as harsh as the East Coast (sorry, New York!) Here’s a list of festive activities that make Portland a well-worth Christmas trip. » Don’t miss our Portland in winter travel guide! What is Portland known for? On one of Portland’s slogans is ‘keep Portland weird’ and the mantra of being a little out of the ordinary is definitely evident in this Oregan city. Portlanders are proud of their culinary scene which covers lots of regions (we were told there is even a Frying Scotsman food truck!) The craft beer scene here is strong as is the wine. Portland is also known for supporting local businesses. 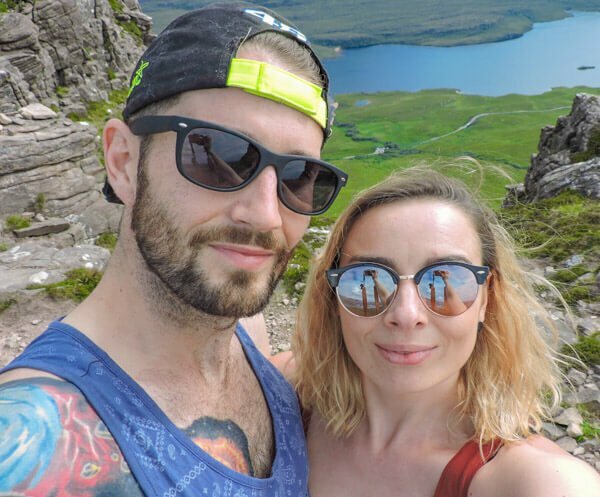 Here’s a wee blogger insider for you, often when we visit destinations as partners we are given a welcome bag – Portland’s tote is still my favourite to this day (years later) because it was full of independent business’s products and a really cool city map! Portland is happening now, I can tell you that comparing it to other cities! Can I visit Portland and other places? Definitely! We teamed up a trip to Portland with the city of Seattle in the neighbouring state of Washington (coming from Vancouver in Canada). The Pacific Northwest road trip is a popular driving route which can extend is predominantly the warmer south, California but you could extend up if you wished. Check out our San Fransisco itinerary here. When is the best time to Visit Portland? The cherry blossoms at start blooming at Waterfront Park in Spring (March/April) and the drier seasons kick off around May/June and the warmer months are July-September. The rain reappears around October time. However, we visited in January after a freak snowstorm and still fell in love with the city. Lots of the activities we recommend are indoors (especially all the food and drink!) so there is always something to do. 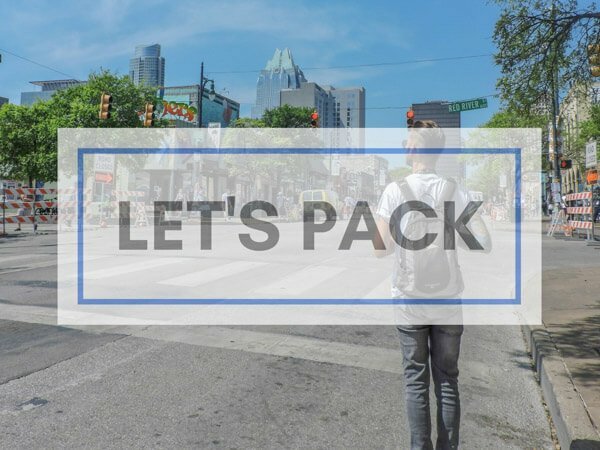 What’s a good itinerary for 1 week in Seattle and Portland? I would follow our guide for things to do in Portland then check out Seattle’s Pike Place Market food tour, Museum of Pop Culture and of course, the views of the city from the Space Needle. Check out our Seattle itinerary too. 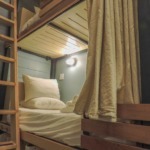 This Portland 3 day itinerary only touches upon some of the factors which I feel back up that Portland is happening now. I know I’m not alone in my views because according to the census, in terms of population growth, Portland was the 15th fastest among America’s fifty largest metro areas. PS. With thanks to Travel Portland, Cycle Portland Bike Tours, Kim Jong Grillin’ for hosting us and our family – Erin and Ian for letting us do a wash! 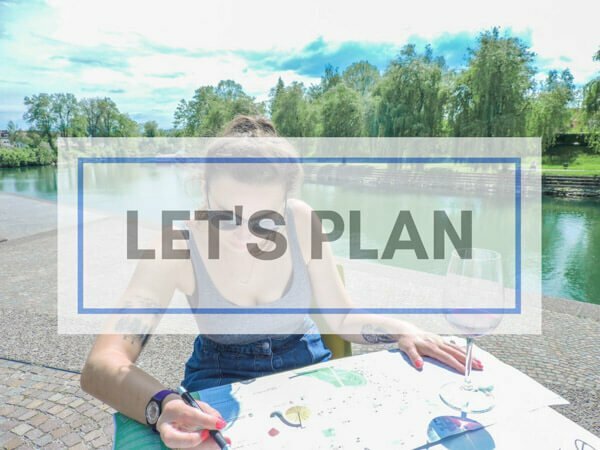 I really did love this city, check out more cool things to do in Portland via our fellow blogger, Taylor. Have you been to Portland? Okay, I’m convinced now more than ever that travel to Portland and the Northwest US is in my not too distant future. The food carts and Multnomah Falls are calling my name for sure! Take me back to that food! Good to hear it Howard, if you need any information you know where to find us! Great Post. I live in California and have never been to Portland hope to get there someday!!! I’ve been to Portland, but it was far too long ago. I’d love to go back and investigate the culinary scene as I hear it’s really happening. Great craft beer and CHOCOLATE! YES! Gorgeous dark chocolate too! I haven’t been but it sounds so great– has everything I appreciate with all the nature and the foodie scene and people being active! I hope housing prices aren’t as bad as where I am in the Silicon Valley area! Such a nice balance! I heard San Fran housing prices have went ridiculous too! Love it! Love that you know that fact! I’m pretty sure we made a huge mistake by not eating at Kim Jong Grillin’. What a rad city Portland is! Rad – that word sum up Portland for me too! Would like to go back in summer and check out more the nature around it. And eat more food! Having lived in Portland for the past 15 years (with some breaks for world travel), I always enjoy fellow travelers’ accounts of their visit to our fair city. It’s changing so fast — the SW 10th and Alder pod is slated for development — you may not have the same experience year to year. All the more reason to visit often! I was just talking about Portland tonight! Really enjoyed the city and definitely keen to get back and see the developments around Chinatown, how is the Society Hotel getting on? I have been to Portland for a day and the Multnomah Falls was just amazing even I had some time to stroll in the Powell’s Bookstore. I must say it was the only bookstore where I didn’t get bored. Loved the Falls too! Thanks for reading.